The majestic ride made by ACCEPT continues. This is their next monument with Mark Tornillo. ACCEPT are heavy metal AC/DC – next album, next classics. »The Rise Of Chaos« sounds like a typical, amazing ACCEPT album. Sick! There’s currently no better heavy metal band than ACCEPT! Finally! Today, heavy metal pioneers ACCEPT are back in the game with a new studio album – the record entitled »The Rise Of Chaos« is out today! The band’s 4th studio release through Nuclear Blast continues the tradition of its three predecessors – »Blood Of The Nations«, »Stalingrad«,and »Blind Rage« – with grandeur and precision. 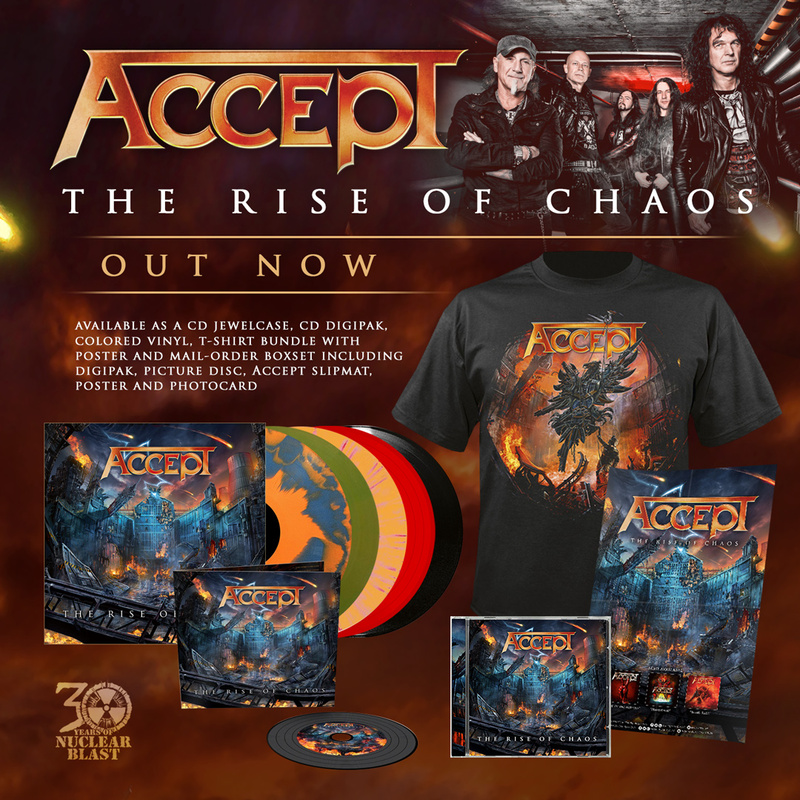 Today, ACCEPT also reveal their third track-by-track trailer, in which Wolf Hoffmann talks about the songs ‘What’s Done Is Done’, ‘Worlds Colliding’, ‘Carry The Weight’ and ‘Race To Extinction‘.